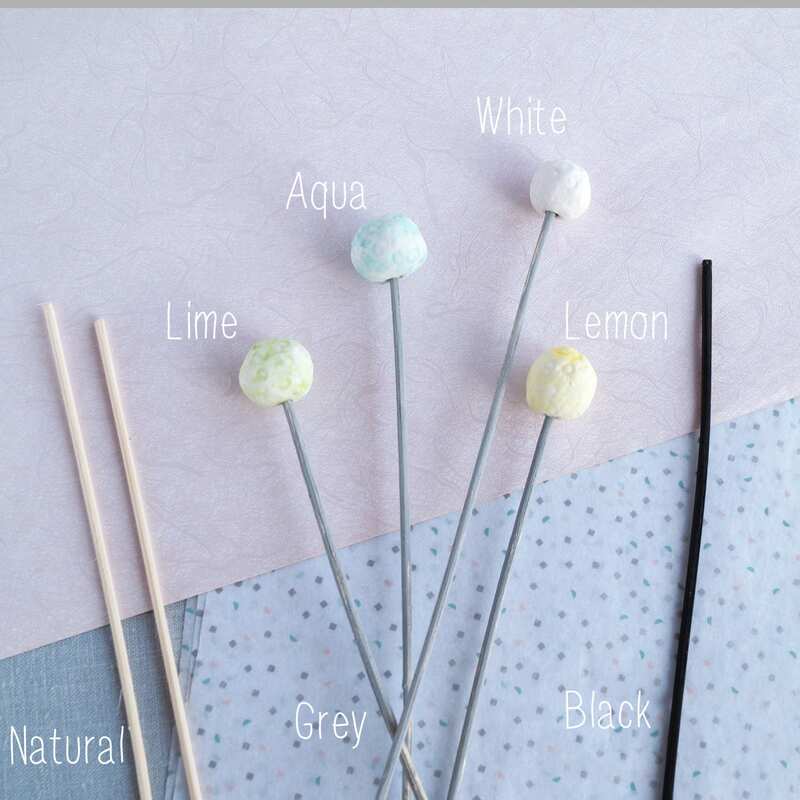 Set of five replacement reeds for a diffuser including three ceramic toppers. 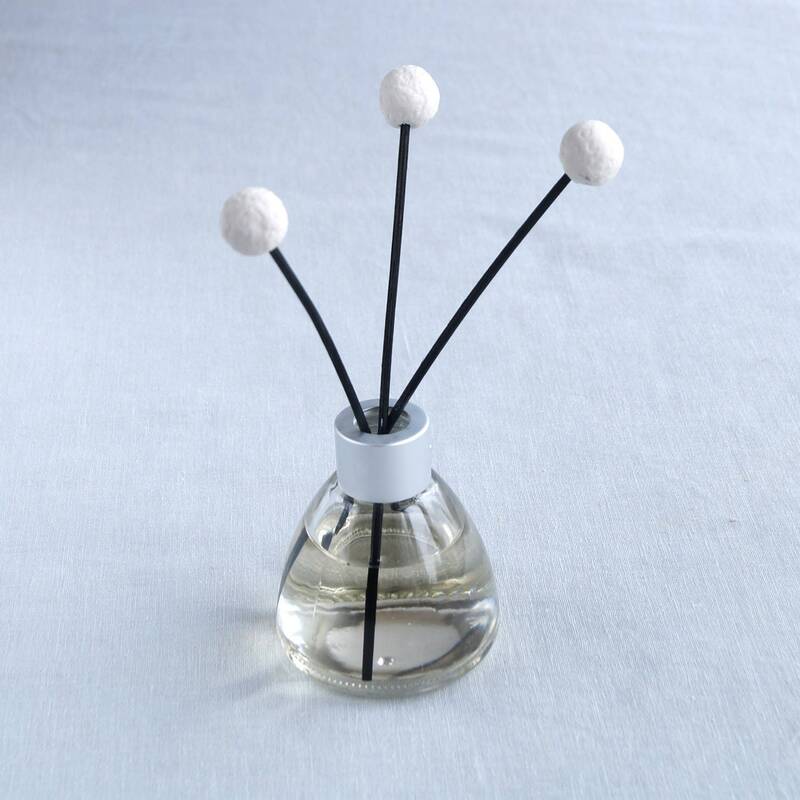 The reeds can be cut to different lengths to create an artistic arrangement in your diffuser bottle. 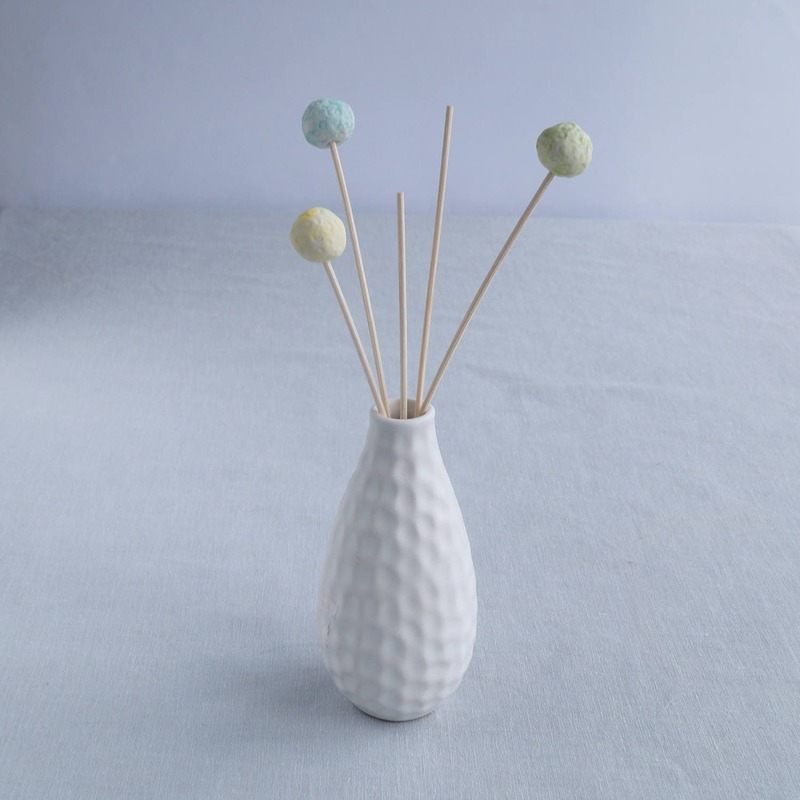 Alternatively create your own diffuser with these decorative sticks. Pop them into a narrow necked vessel containing scented oil and the oil will wick up into the reeds to give off the aroma. 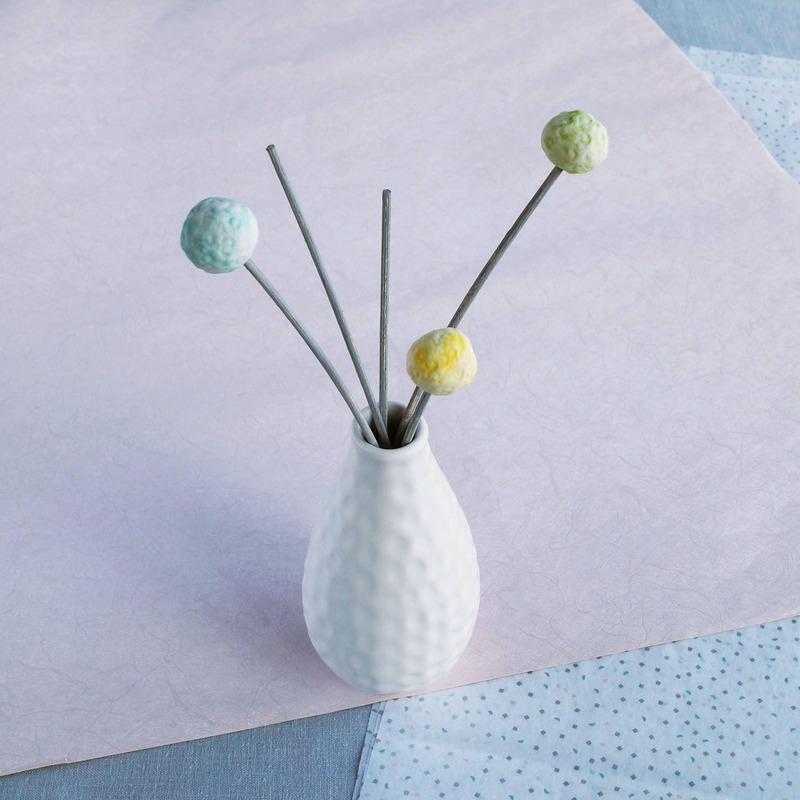 The flower balls resemble Craspedia (billy buttons or woollyheads) and their simple geometric form will look great in a contemporary setting. Choice of ball and reed colours. Hand formed in porcelain clay. 20 mm (3/4 inch) approx. 3 x Mixed colours (one lemon, one aqua and one lime). The stems can be cut to shorter lengths. 5 x Grey fibre, non bleed, 30 cm long. Oil, diffuser bottle and vase not included.